A stained glass window image of a gold and red Jerusalem cross. 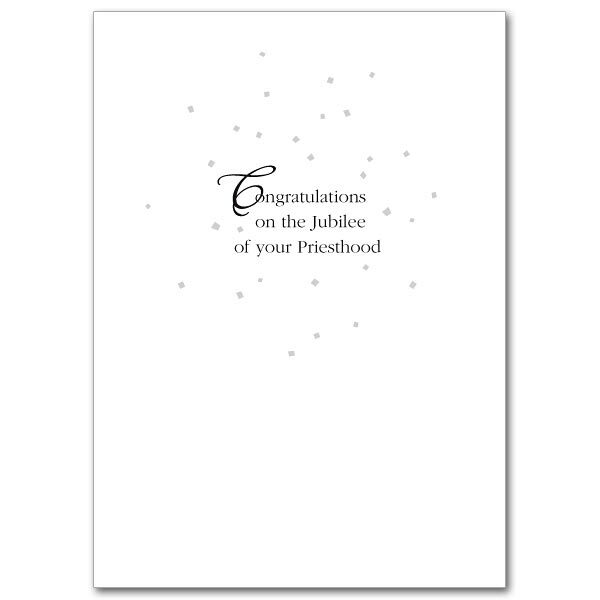 This card is appropriate for priests, brothers, monks, deacons, religious sisters, or any pastor or minister. Lettering in gold with a red and gold cross on a background of a handwritten musical score which is yellow in color. 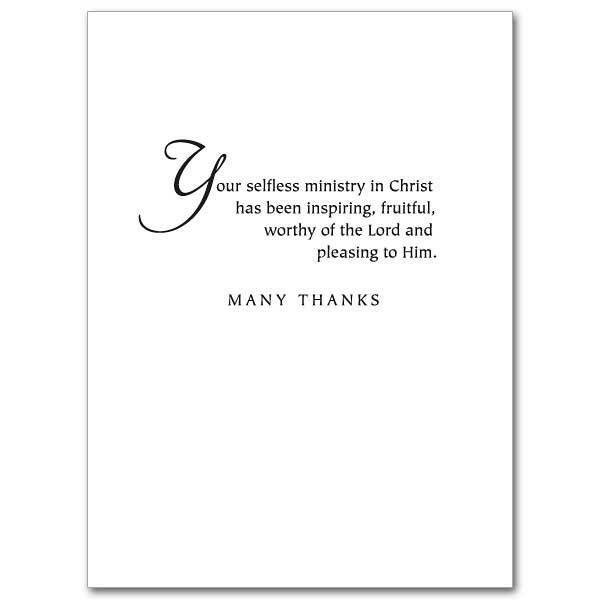 Printed on recycled paper with post-consumer fiber. 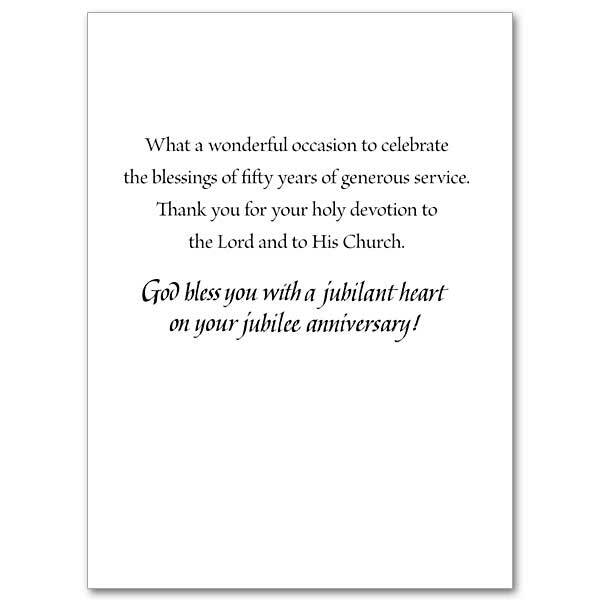 5 x 7 inches with foil embossing. 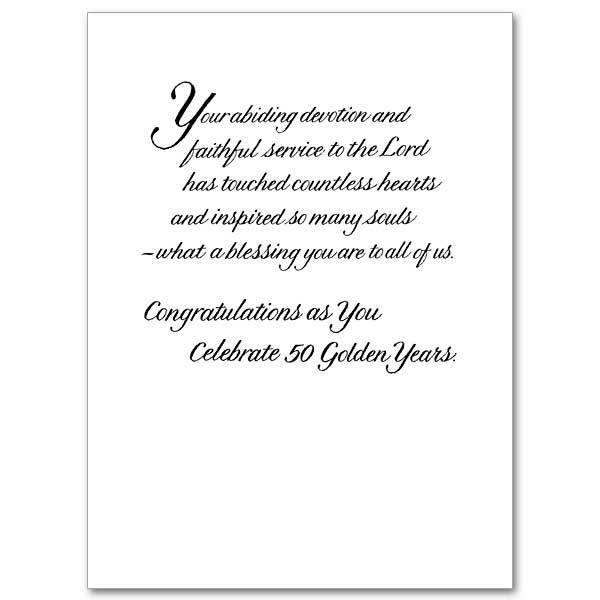 Goldenrod envelope included with each card.